Back to school means early mornings and lots of coffee for this mom! Who am I kidding that's just a normal day for me! But this coffee from Friendly's is extra special if you ask me. Believe it or not, this coffee that’s been infused with the flavor of coffee ice cream and rich mocha chunks. I know right? Hush your mouth! Coffee flavored ice cream! 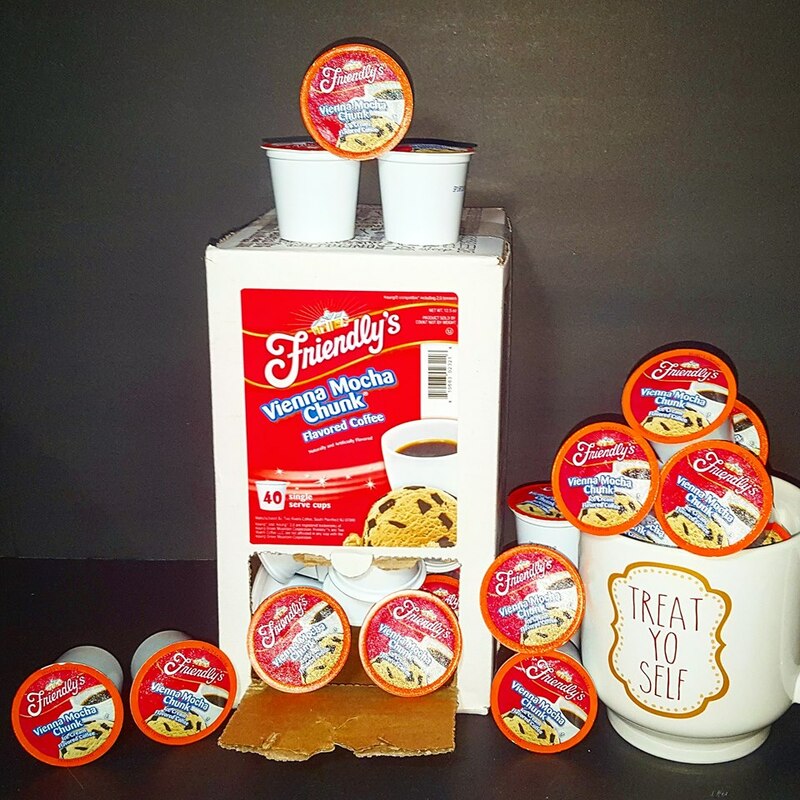 The current list price for the 40 count box of Friendly's Vienna mocha chunk flavored coffee is $31.42, that's just .79 cent per cup! Please be advised that prices are subject to change at any time. 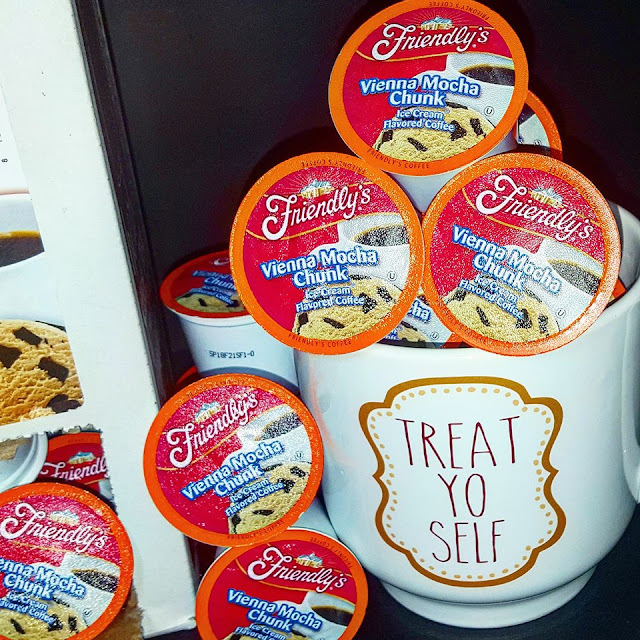 There are currently have 7 different flavors in this line from Friendly's that include: Vienna Mocha Chunk, Butterscotch Swirl, Chocolate Marshmallow Swirl, Mint Chocolate Chip, Peppermint Stick, Sundae Nut and a Variety Pack. Friendly's Vienna Mocha Chunk was fashioned after the legendary Viennese coffee, an espresso drink made with cream and chocolate shavings. I personally love that it's a stronger blend of coffee. The flavors are not overpowering at all, it's the perfect rich, creamy indulgence. If you are a fan of ice cream this is the perfect flavor for you! A pro tip: try adding a scoop of ice cream to your coffee in place of creamer. make sure to enter our giveaway for your chance to win your own box by clicking here! I haven't heard of this brand before where is it sold? This sounds great! I love coffee and dessert, so it's wonderful when they are combined! This coffee sounds amazing - I want every flavor!How can you go wrong with ice cream flavored coffee?! I think the variety pack would be my top choice, only because ALL of the flavors sound so yummy that it would be too hard to narrow it down to choosing only one flavor! I love that they are like indulging in guilt free dessert flavors. What a wonderful way to start a day. Vienna Mocha Chunk sounds like a delicious flavor to try. I love visiting Friendly's restaurant and I know I would love this coffee!